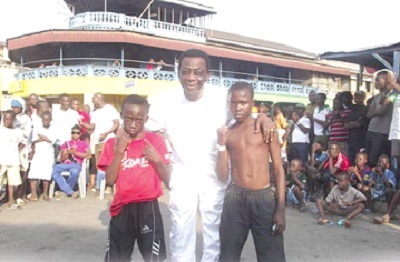 On Saturday, the country’s boxing governing body, Ghana Boxing Federation (GBF), will celebrate Ambassador Ray Quarcoo, former president of the Ghana Amateur Boxing Federation. To officials of GBF, the works of Ambassador Quarcoo during his tenure and even after stirred them to celebrate the renowned boxing administrator. The event, scheduled for the newly-constructed Premier Beach, Oshiyie, Kokrobitey Road this Saturday, coincides with Ambassador Quarcoo’s 83rd milestone, which he celebrated on a low key yesterday with few family members and friends. His tenure as president of the Ghana Amateur Boxing Federation saw massive improvement in the sport-from structures and the acquisition of sponsorships which offered many boxers, including past world champions, international exposure. Expected to grace the event, are government officials, businessmen, former world boxing champions and members from the Diplomatic Corps.